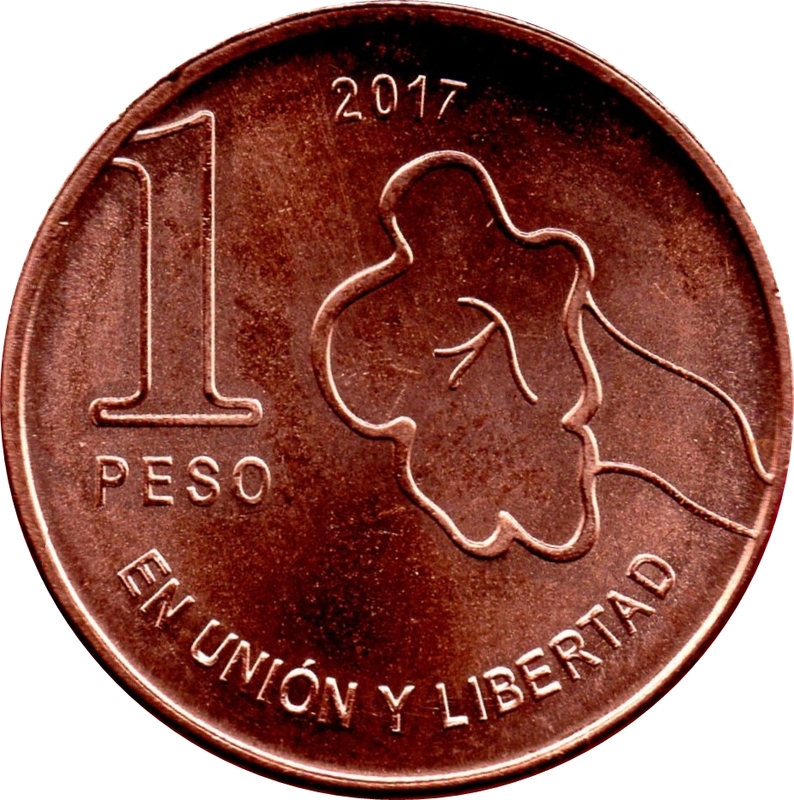 Its design presents in the central field of the obverse the representation of the jacaranda. 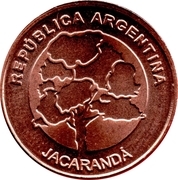 In the upper arch the text "REPUBLICA ARGENTINA". 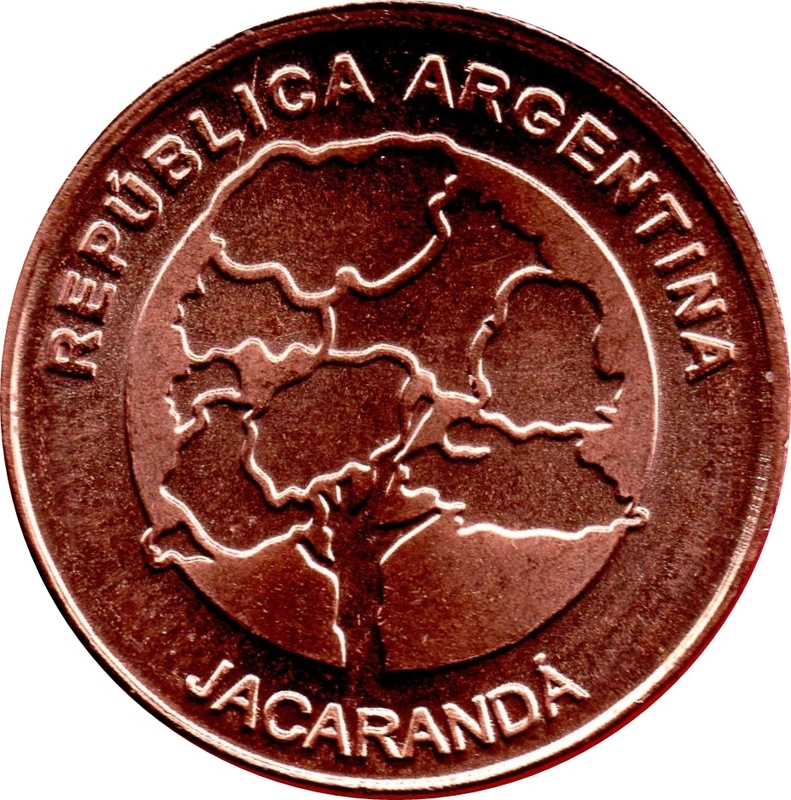 In the lower part the word "JACARANDÁ". On the right, the flower of the jacaranda. In the upper arch, the year of coinage "2017". The motto "EN UNION Y LIBERTAD" is at the bottom. 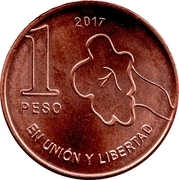 Finally, the location of the denomination "1 PESO", at the top left, indicates the Northwest region, the most important one of this species in the Argentine territory. Jacaranda mimosifolia. Family of the binoniáceas. 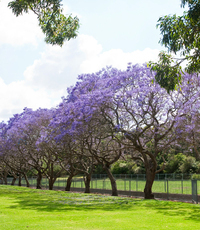 Common names: jacaranda, tarco. It lives naturally in the South Yungas. 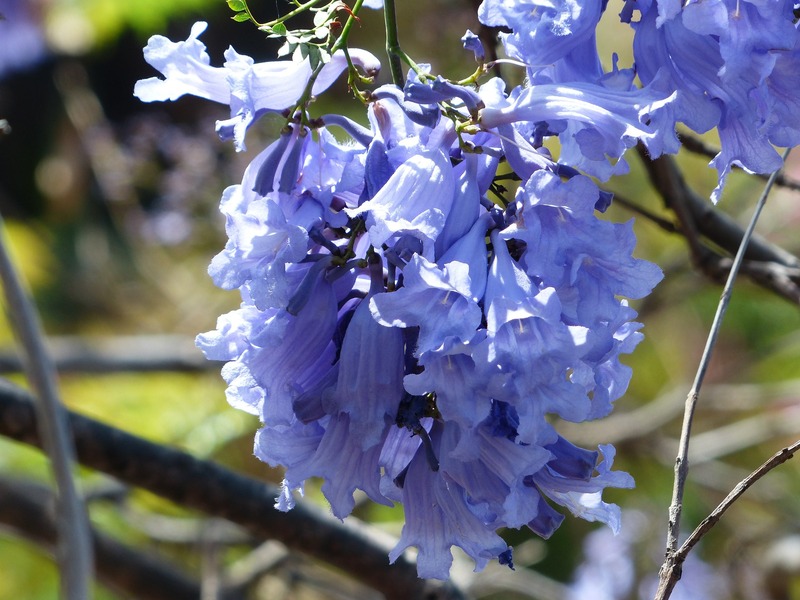 It is grown to the center of the province of Buenos Aires as a decorative tree for parks and streets, especially for its lilac blue flowering. If you want to see it in its natural habitat, you can find it with greater density in the Phytogeographic District of the Selva Pedemontanas. In addition, if you visit or live in the Autonomous City of Buenos Aires, enjoy the more than 11,000 jacaranda trees (City Linear Public Forest Census, 2010) that, in their majority, were incorporated into the urban landscape by Carlos Thays, architect and landscape.